Book Now: £650 £350 + VAT Book by 6th May and Save £300! Chris McCormick and Zach Tellman. will be speaking. Starts at 12:00 AM. If you're looking for the best place to learn about Clojure, Functional Programming and network with like-minded people, then Clojure eXchange 2019 is the conference you simply can't miss. Meet with the world's leading experts on Clojure and learn the latest concepts and applications of Clojure to help your teams in their projects. We are proud to announce that Zach Tellman and Chris McCormick will be keynoting at Clojure eXchange 2019! Whether you are new or experienced with Clojure, coming down to Clojure eXchange is a great way to meet and share ideas with passionate developers, learn new skills with Clojure as well as see how it can be applied in a myriad of ways to help you in your current projects. Once again we are aiming to share the latest trends in the cloud world and cover all levels of expertise. Keep an eye on the programme for all updates on our line-up! Would you like to be a part of our amazing line-up for Clojure eXchange 2019? We want to hear your talk proposals! Talks will be selected by Skills Matter and the Programme Committee on the basis of making the conference a varied, diverse and valuable event. Deadline for submission: COB Tuesday, 25th June 2019. To apply, head to our Call for Papers form. Skills Matter is proud to share our Diversity Scholarship Plan which provides support to those from traditionally under-represented and/or marginalised groups who may not normally have the opportunity to attend this event. Get a free ticket in exchange for some help setting up the conference and a few hours on the days of the conference. We are committed to providing a friendly, safe and welcoming environment for all. Learn more in our Code of Conduct. Payment by major credit/debit cards, PayPal & Bank Transfer is accepted. Learn more about the expert speakers and topics. View free SkillsCast recordings of last year's talks. Join Zach for a Keynote at Clojure eXchange 2019! Zach recently released “Elements of Clojure”, a book on the philosophy of software through the lens of Clojure. He has approximate knowledge of many things. We are really excited to have Chris McCormick share a Keynote talk at Clojure eXchange 2019! Chris McCormick is an artist, musician, and hacker working at the interface of code and the arts. CodeNode is the UK's largest venue dedicated to Technology events and was designed to provide a space for Skills Matter's community of software professionals to come together and enjoy meetups, conferences, training and networking events. With fantastic transport links and located in the heart of London's Tech City, Codenode welcomes thousands of engineers each year, who come together to learn and share skills, exoerience and collaborate on projects. 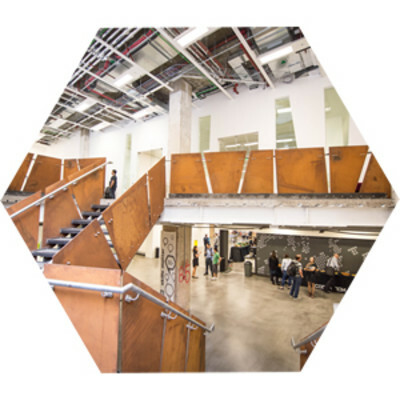 CodeNode features six dedicated event spaces, a large break-out area, complete with fully-licensed bar, reliable wifi, plenty of power sockets, and 6 dedicated event and collaboration spaces. Deadline for submission: COB Tuesday, 25th June 2019. Volunteer at Clojure eXchange London 2019! Interested in Clojure, and eager to learn the latest news? You have the chance to get a free ticket to Clojure eXchange London 2019! All we need from you is some help in setting up the conference, and some hours of your time on the days of the conference! You will be free to attend the conference for the remainder of the time. Are you ready then? 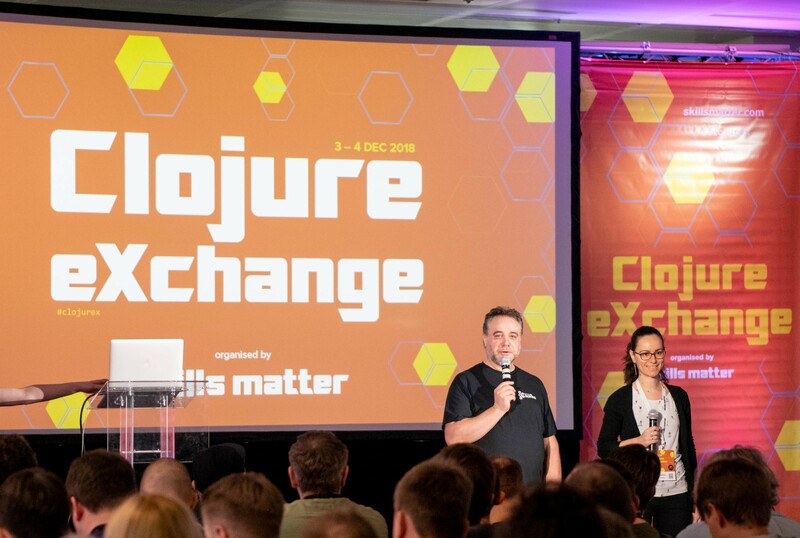 Email us at conference-team@skillsmatter.com and we will put your name down as a volunteer for Clojure eXchange London 2019! Shifts and detailed info will be confirmed closer to the conference. Skills Matter is proud and happy to share our Clojure eXchange London Diversity Scholarship Plan which provides support to those from traditionally underrepresented and/or marginalised groups in the technology and/or open source communities who may not have the opportunity to attend Clojure eXchange London for various reasons. Scholarships are awarded based on a combination of need and impact. Scholarship recipients will receive a complimentary ticket to the conference. Please note, travel expenses are not covered under this scholarship and are the responsibility of the scholarship recipient. Applicants should be from a traditionally underrepresented and/or marginalized groups in the technology and/or open source communities and be unable to attend without some assistance. We look forward to having you at Clojure eXchange London 2019! Skills Matter gives out Press Passes to both in-house and freelance editors, journalists, bloggers and influencers. We encourage those who have a genuine passion for tech and love to share great stories with tech communities and industries to apply. Hold tight, skillscasts coming soon! ClojureBridge is a free, beginner-friendly workshop teaching the Clojure programming language, primarily aimed at those who identify as women, transgender & non-binary. hackthetower.co.uk is a hack day for any and all developers to come and collaborate on projects or discover new technologies together and enhance their skills. Bring your laptop and your desire to try things out & have fun! Do you want to explore the latest innovations in Clojure and meet with your peers attempting to solve complex software problems using this Functional language? Want to get to grips with one of the fastest growing Functional languages around? How about joining 150+ Clojure developers and some of the world's leading experts on Clojure, Simplicity and Functional Programming? Are you a developer looking to expand your functional skill set? Would you like to meet some of the biggest names in the industry? With the great interest in Clojure and the fabulous success of recent London Clojure meetups, we decided the time is right for a proper, intensive, interactive day here at Skills Matter for everyone interested in this great technology to learn and share skills.